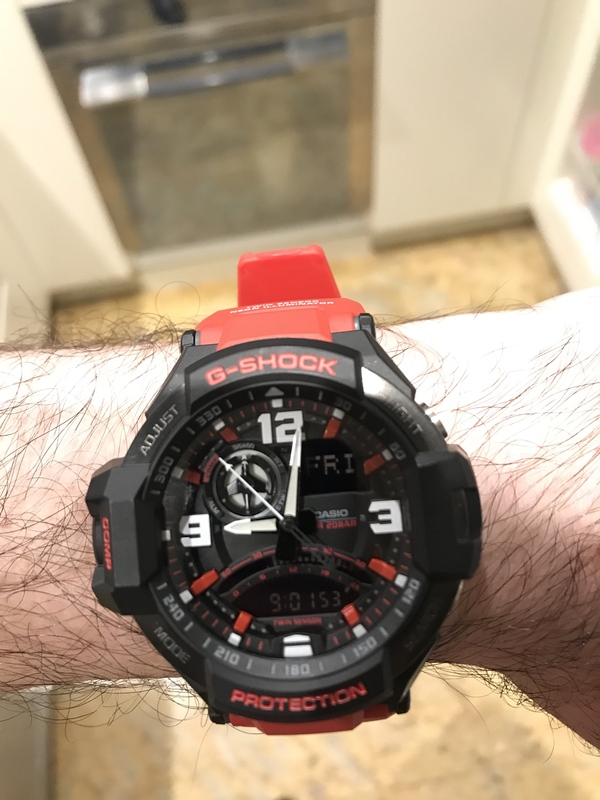 Okay, so am impulse purchase to cover travel and I couldn’t be happier - I dare say this isn’t my last GShock! Has a compass, back light, analog and digital displays - and here I am used to the Panerai base dial! congrats - I have about a dozen G's in the stable at all times. Love the features and the fact that they are virtually indestructible..